DNG Maxwell Heaslip & Leonard are delighted to present an excellent opportunity for a first time buyer to acquire this two bedroom ground floor apartment. 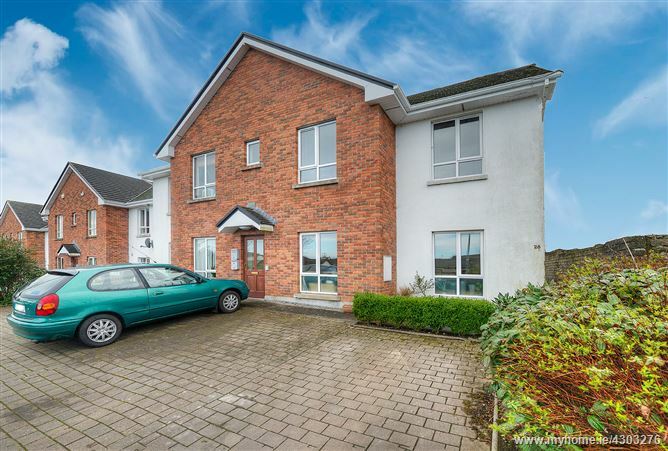 Situated in a sought after residential location on the western periphery of Galway City. This spacious, owner occupier home is in walk-in condition, has ample parking to the front, its own front door,its own private rear garden and is conveniently based within a short distance of many shops and amenities. This outstanding property is not to be missed for those looking for a quality home in a popular location. With storage heater, semi solid wood floor, hotpress / storage. All tiled, bath/shower, whb and wc. With half wooden, half tiled floor, three windows, two radiators and built in kitchen units. With carpet floor, electric heater, built in wardrobe, rear window. En suite: (1.77x1.80) all tiled, shower, whb and wc. With carpet floor, rear window, built in wardrobe and electric heater. From Bishop O'Donnell Road, travel the Western Distributor Road and turn right at Blakes roundabout onto the Ballymoneen Road. Sli Gheal is at the top of the hill on your left.